Update: The Geekbench score could be fake so remember to take it with a pinch of salt. 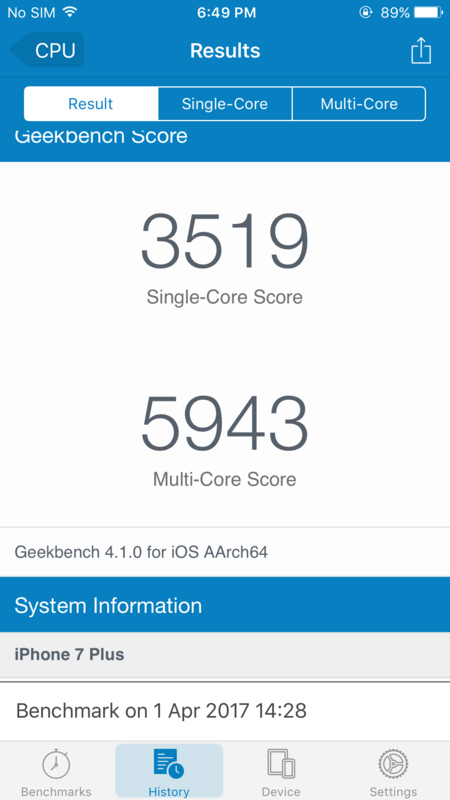 The latest version of Geekbench running in iOS is version 4.1.0 while the version running here is version 4.0.3. Time and time again, we’ve seen the iPhone 7 Plus beat every flagship it stood up against, including the newly released Galaxy S8. This would mean that the possible contender to beat it in real-world and benchmarking tests would be the next-gen iPhone 8 and its Apple A11 SoC. Now if a leaked Geekbench test results are to be believed, then it looks like the iPhone 7 Plus is nowhere near the performance of Apple’s latest and greatest silicon. A new benchmarking leak from Geekbench apparently reveals the performance of the A11 chipset. According to the specifications, the A11 will be running a quad-core processor which is similar to the configuration of the A10 Fusion. Apple could be using two high-performance cores (possibly running at 2.74GHz according to the information given in the image) that are paired with two energy efficient cores to tackle less intensive tasks. Coming to the benchmark, the single-core test results show the A11 running past the competition and it obtains a total score of 4,537 points and nearly reaching the 9,000-point figure in the multi-core test results. For reference, we ran a Geekbench test on our iPhone 7 Plus and posted the results below. These are impressive scores, to say the least, and they come at a time when the iPhone 8’s announcement is still months away. 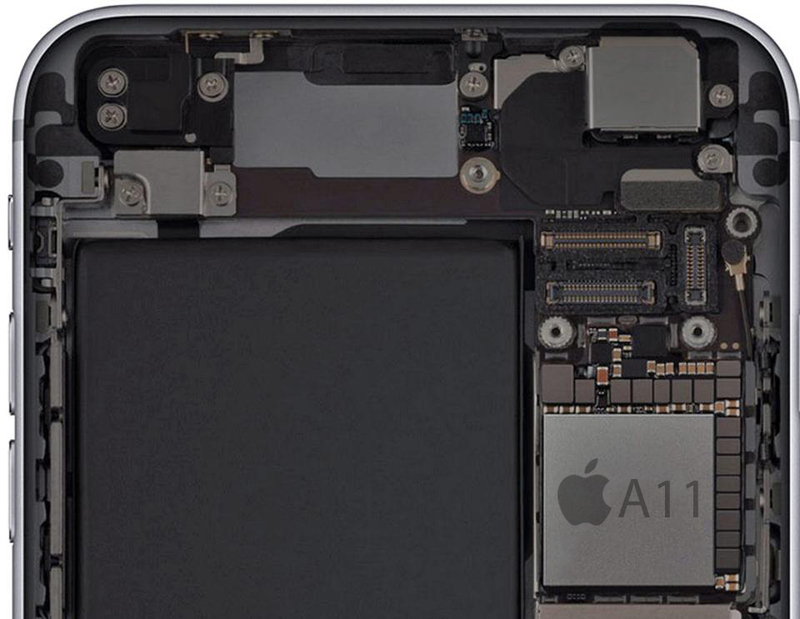 It an obvious thought that the A11 is going to be significantly faster than the A10 Fusion and thanks to its 10nm FinFET architecture, it is going to be even more efficient that its previous-gen 14nm FinFET process. Still, we’d recommend that you wait till official benchmarks of the phone are being run as Geekbench scores can easily be manipulated to mislead the public.